For years, Saja Pahad village in Chhattisgarh’s Koriya district (in India) faced water shortage. Villagers found it difficult to quench the thirst of their cattle, but they did not know what to do. And the government, too, did nothing. Then one day 15-year-old Shyam Lal decided to take his spade and dig a pond. Fellow villagers laughed at him. But the tribal teenager was determined. Lal identified a spot in the forest in and kept digging — for 27 years, according to villagers. The result is nothing less than that of Bihar’s mountain man, Dashrath Manjhi — a one-acre 15-feet deep pond, which is filled with the elixir of life. “No one helped me in my work, neither the administration nor the villagers,” the 42-year-old beams proudly, adding that he did it for the welfare of the people and the cattle of his village. Sources said Saja Pahad, which lies near a hillock under Chirimiri, still does not have electricity or proper road connectivity. The only source of water for the villagers is a couple of wells. Lal’s work comes as a relief at a time Chhattisgarh is suffering from drought-like situation this year. The rainfall has been 10% short of the average over 10 years. District collectors have been directed to ensure proper utilisation of irrigation facilities. This is the 21th celebration of the WE ARE THE WORLD BLOGFEST #WATWB which is carried out every last Friday of the month, and which aims to spread love and positiveness in this vulnerable world. A celebration of heroes who can still restore our faith in humanity, especially in this period when our world seems to be full of endless series of horrible happenings. Our generous co-hosts for this month are: Inderpreet Uppal, Shilpa Garg, Sylvia McGrath , Belinda WitzenHausen, and myself. If you would like to help out in saving a school, you could also sign up for theValentine’s Day :Show the Love , Save a School Blogathon . 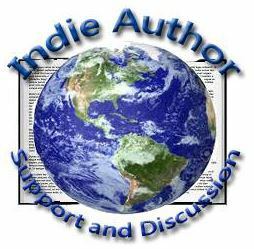 It is easy to join–just write about someone/ something you love. You can combine it with your WATWB post. You could also chip in to the fundraiser here, only if you’re so inclined. A while back, a man from Odisha, India, singlehandedly carved an 8km (5-mile) road through hilly terrain so that his children attend school. His three sons used to spend six hours walking from their boarding school in Phulbani to the village of Gumsahi where Nayak lives. Fed up with seeing his kids stumble down the dangerous route, the 45-year-old vegetable seller grabbed a chisel, a pickax, and a garden hoe and began digging a safer path. In a remote village in India’s state of Odisha, the schoolchildren needed to walk through 10 kilometers (6 mi) of thick brush, climbing up and down hills and boulders in each direction for three hours. It’s understandable why many of these kids gave up on their education. But a father named Jalandhar Nayak was determined that his sons would receive an education. His boys moved closer to the school, and Nayak began to work. Armed with only a pickaxe and a crowbar, Nayak began clearing a road to the village in 2016. He pushed boulders and dug the earth so that it would be a flat surface. He worked from sunup until sundown, eight hours a day every day for two years straight. A local news outlet heard about Nayak’s story. The government agreed that the village needed a road, so they paid him for his time and took over the construction where he left off. Once he got the media’s attention, he requested that the village get access to running water and electricity, too. After generations of this village having been so far removed from civilization, one man’s actions helped the entire community. The rest of Jalandhar Naya’s story can be found here, here, and here. This is the 20th celebration of the WE ARE THE WORLD BLOGFEST #WATWB which is carried out every last Friday of the month, and which aims to spread love and positiveness in this vulnerable world. A celebration of heroes who can still restore our faith in humanity, especially in this period when our world seems to be full of endless series of horrible happenings. Our generous co-hosts for this month are: Inderpreet Uppal, Sylvia Stein, Shilpa Garg, Simon Falk, Damyanti Biswas. An American man named Mohamed Bzeek from Los Angeles has been taking care of terminally ill children for the past 20 years. He has cared for 40 children so far. Bzeek is the only foster parent in the county known to take in terminally ill children. Bzeek, originally from Libya, was introduced to foster care by the woman he fell in love with, Dawn, who would die in 2013 to his devastation. She [Dawn] had become a foster parent in the early 1980s, before she met Bzeek. Her grandparents had been foster parents, and she was inspired by them, Bzeek said. Before she met Bzeek, she opened her home as an emergency shelter for foster children who needed immediate placement or who were placed in protective custody. Dawn Bzeek fell in love with every child she took in. She took them to professional holiday photo sessions, and she organized Christmas gift donation drives for foster children. Mohamed Bzeek started caring for foster children with his wife Dawn in 1989. Often, the children were ill and sometimes they died, leaving the Bzeeks in intolerable pain. By the mid-1990s, the Bzeeks decided to specifically care for terminally ill children. The children were going to die. Mohamed Bzeek knew that. But in his more than two decades as a foster father, he took them in anyway — the sickest of the sick in Los Angeles County’s sprawling foster care system. He has buried about 10 children. Some died in his arms. Now, Bzeek spends long days and sleepless nights caring for a bedridden 6-year-old foster girl with a rare brain defect. She’s blind and deaf. She has daily seizures. Her arms and legs are paralyzed. “I know she can’t hear, can’t see, but I always talk to her,” he said. “I’m always holding her, playing with her, touching her. … She has feelings. She has a soul. She’s a human being. The rest of Bzeek’s story can be found here in Los Angeles Times. In a time when the 24-hour news cycle bombards us with stories of tragedy, heartbreak and deceit, it can be difficult to keep our heads up and remain optimistic about the world we live in. But amid the tragedy and sadness, we receive daily glimpses of hope and happiness—moments when our spirits are lifted and we’re reminded of the generosity and kindness of others. This is the 19th celebration of the WE ARE THE WORLD BLOGFEST #WATWB which is carried out every last Friday of the month, and which aims to spread love and positiveness in this vulnerable world. A celebration of heroes who can still restore our faith in humanity, especially in this period when our world seems to be full of endless series of horrible happenings. Our generous co-hosts for this month are: Eric Lahti , Inderpreet Uppal, Shilpa Garg, Damyanti Biswas, and myself. There is a woman from Thailand named Lek Chailert who has dedicated her life to rescuing tortured elephants. She grew up in a small hillside village north of Chiang Mai where large scale logging was practised. Elephants were used by loggers to transport incredibly heavy loads. When she was a student, Lek used to see the elephants cut and wounded and sick, and she sought to find out what was happening to them. She could hear elephants screaming in the forest but, being a student, was not allowed to go into the logging camp. One day she was taken into the forest by one of the elephant keepers, and that was when she witnessed the shocking horror of what was happening to them. The horror that would change her life. There was an elephant hauling a log up the hill with a man riding on its back. Every time the elephant tried to haul the log, the man would step on a hook on its head and wound it, drawing blood. The man was also cutting its back with a knife. It was screaming. Lek was speechless. It was her first time to see the giant animal tortured so badly by human beings. Shaken, she went back to the village for elephant medicine and came back to treat the wounded animal. The elephants were used not only for logging but also for entertainment in circuses and tourist parks. Baby elephants were put in a structure called “crush box”, which is a small, rigid trap with no room for turning around. They were then beaten and tortured mercilessly until they learned to obey their human masters. Afterwards, they were taken to the circuses for entertainment, obeying commands, playing with hoops, or being ridden by tourists in tourist parks for a fee, etc. Lek wondered why humans expected so much from the animals. She made it her mission to rescue them. She went to the media and exposed the loggers. She founded Save Elephant Foundation. An American actress, Ashley Bell, heard about her work and joined her. They have since worked together on a documentary called Love and Bananas about the rescued elephants and the ordeals they went through. The animals she has saved are very grateful and when they see her they run to her and cuddle her. Lek’s rich story can be found here. This is the 17th celebration of the WE ARE THE WORLD BLOGFEST #WATWB which is carried out every last Friday of the month, and which aims to spread love and positiveness in this vulnerable world. A celebration of heroes who can still restore our faith in humanity, especially in this period when our world seems to be full of endless series of horrible happenings. Our generous co-hosts for this month are: Shilpa Garg, Eric Lahti, Inderpreet Uppal, Sylvia Stein and myself.. Sometime in 2015, the Taliban attempted to recapture an Afghan city called Kunduz. War began between the Taliban and the government military. All roads were closed and hospitals became battlefields. People were trapped in hospitals for weeks. Hospitals were running out of medicine, blood, and even food. One hospital was blown up by a mortar. A gynaecologist named Dr. Marzia Salam Yaftali was working at the last-standing public hospital in the city. She couldn’t go to work during the attack and it worried her sick. The situation was getting worse. The injured kept arriving at the hospital despite the diminishing supplies. I was desperate to go to work but I couldn’t because all the roads were closed and the hospital was a battlefield. It was in the crossfire between the Taliban and the government troops. My colleagues were trapped in the hospital for two weeks. No one could leave. One night when the fighting had worsened uncontrollably, Dr. Marzia was called to help her neighbour deliver twins. There was heavy fighting one night. The battle was going on from street to street and house to house. It was so bad that no one dared to leave their homes. If you were shot at no one would know if it was from the Taliban or government troops. My family was hiding in the basement. Dr. Marzia was living with her sister, also a doctor. But her sister refused point-blank to go outside. The risk was too great. She had her own children to look after and going outside meant certain death. Dr. Marzia had to decide what to do. She had met Fatma and seen the scan of her babies. I knew that if I didn’t go, Fatma would die. When I stepped outside the front door, there was a rain of bullets. It was absolutely terrifying. I was running. I will never forget that night. There were NATO airplanes above. It was pitch-black but I could see the laser lights coming from the jets looking for the Taliban fighters. I ran like I had never run before. The neighbour’s house was ten minutes away but it felt like a whole hour. Dr. Marzia managed to deliver the first baby. Unfortunately, the second baby was trapped at the shoulder and needed caesarean section to be delivered. She needed a hospital. I called my government contacts and asked them to send a military tank to take us to the hospital. Then I rang the hospital and my colleagues there said absolutely not. You cannot come here. The hospital is a war zone. Earlier a patient and his father left the hospital and were shot. Their bodies are still outside in the driveway and no one dares to pick them up. The same could happen to you. Don’t come. The rest of Dr. Marzia’s story can be found here. Dr. Marzia Salam Yaftali. Photo by BBC. This is the 16th celebration of the WE ARE THE WORLD BLOGFEST #WATWB which is carried out every last Friday of the month, and which aims to spread love and positiveness in this vulnerable world. A celebration of heroes who can still restore our faith in humanity, especially in this period when our world seems to be full of endless series of horrible happenings. Our generous co-hosts for this month are: Shilpa Garg, Belinda Witzenhausen, Sylvia McGrath, Simon Falk, and Andrea Michaels. In the US, a man named Henry Fersko-Weiss is practising doula for the dying. Henry does the same things as the birth companion, providing emotional, physical and psychological support, except his patients are facing the end of their lives. He calls it “the end of life doula”. Henry worked at a hospice as a social worker, and it was there that he witnessed events that would change his life. It was then working as a hospice social worker that I began to see there were gaps in the kinds of service and care . . . I felt that too many people that I was seeing dying were dying in the ways that they hadn’t wanted to. For example, going into the hospital when they had always wanted to die at home. One particular incident upset Henry so much that he began to contemplate other ways of approaching death. An 86-year old WWII veteran named Sam who had been under the care of his 88-year old sister died alone and unattended in a hospital room. To die in a hospital room like that, unattended, unnoticed . . . to me it is just a tragedy. With the help of a friend, Henry first went for training as a birth doula. Later on, he began to adapt the same skills he had acquired to comforting the dying. In the conversations we have before somebody is actively dying . . . or the labouring process of death, we try to talk about not only how the atmosphere would be in the last days and how we can make it more meaningful or more comfortable for the dying person and family, but focus also on talking on the meaning of the person’s life . . . and then talking about doing some kind of a legacy project that would allow them to leave behind something that would help their family and friends reconnect with them in some kind of a deep way, not in a casual way . . . and perhaps even inspire future generations in the family. We are not judging the mistakes they may have made. We are there to really listen to what they have to say about their own lives, and perhaps help them to see it with a little bit different perspective or to see pieces that still seem to be hanging unfinished . . . how they might still address that. Henry now trains people in the United States and he has helped thousands of people in their last moments. Henry’s wonderful story can be found here. Our generous co-hosts for this month are: Shilpa Garg, Belind Witzenhausen, Inderpreet Uppal, Sylvia McGrath, Roshan Radhakrishnan, and myself. Have you ever thought about the children born in prison? The innocent young souls locked up behind bars with their parents? When pregnant mothers are arrested and sentenced to years in prison, their babies, when delivered, become prisoners as well. These children grow up in the sickening filth of the prisons, surrounded by criminals, including murderers, conmen, thieves, child molesters, etc, and are watched over by cruel, inhuman guards who sometimes beat up their parents as they watch. When their parents have to work outside the prison walls, the babies too are made to wear prison outfits for identification. It is a harsh, traumatizing life. It is horrifying to imagine a child growing up in such circumstances. In Zambia, there is a light that shines for these children, growing bigger and bigger everyday. Faith Kalungia cares for these children. Faith has a deep, resourceful heart, and she has always loved the disadvantaged and the marginalized. When she visited Lusaka Central Prison in 2012, she had a nightmare seeing the children there, dirty, sick, lonely children, having no school to go to, having never seen the outside world. Their ages ranged from newborns to toddlers. “When a mother gives birth, there is always celebration, but the first a place a child calls home is that prison,” she says. Faith set up a school for them, hired teachers and social workers to take of them. She experienced challenges with the authority and with finance but she managed to give those children a better life. She started Mother of Millions Foundation. She now has 500 children under her care. She takes care of 5 prisons. Faith’s rich story is found here. This is the 15th celebration of the WE ARE THE WORLD BLOGFEST #WATWB which is carried out every last Friday of the month, and which aims to spread love and positiveness in this vulnerable world. A celebration of heroes who can still restore our faith in humanity, especially in this period when our world seems to be full of endless series of horrible happenings. Our generous co-hosts for this month are: Shilpa Garg, Damyanti Biswas, Dan Antion, Mary. J. Giese, and Simon Falk.